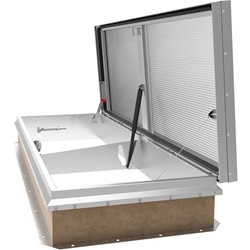 Nystrom's Single Door SmokEscape Smoke Vent provides UL793 listed performance and is engineered with metal covers providing an emphasis on reliability and affordability. 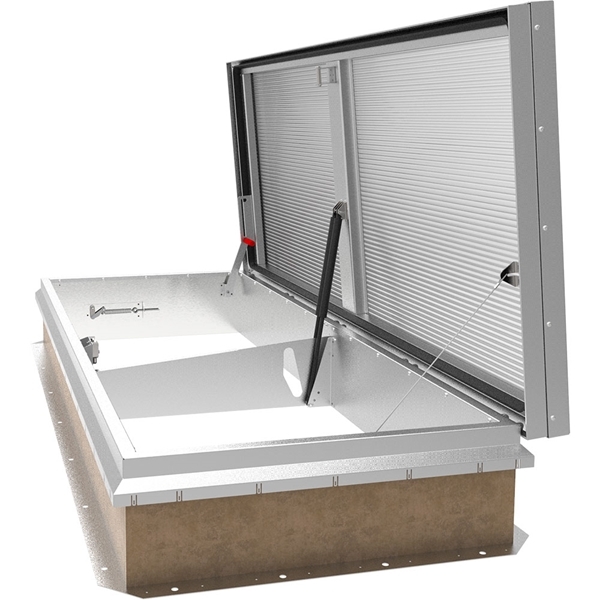 The single door configuration is ideal for factory and storage/warehouse occupancies along with hoist way and elevator shafts. B - Steel Curb & Aluminum Cover 30" x 30"